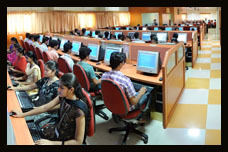 Shruti Mishra, Associate Professor, CSE Department delivered a guest lecture to share knowledge with UG and PG students on the topic of “Soft Computing: Theory and Applications in Current Trend” during 18th to 19th September, 2017 at Institute of Technical Education & Research, Skisha ‘O’ Anusandhan University, Bhubaneswar, Odisha. Dr. K. Neelima and Dr. P.S. Subramanyam published the paper titled “Short term Distribution Load Forecasting using Artificial Intelligence”, in International Conference in Mechanical and Electrical Engineering, Los Angeles, USA during 25-09-15 to 26-09-15. V.Sridhar Reddy published the paper titled “Protecting outsourced data using public auditing scheme for the regenerating-code-based cloud storage”, in Internal Journal & Magazine of Engineering, Technology, Management and Research during September, 2016. V.Sridhar Reddy published the paper titled “Privacy conserving hierarchical Multi-Keyword look for Multiple knowledge house owners in Cloud Computing”, in Internal Journal & Magazine of Engineering, Technology, Management and Research during September, 2016. Dr. Gopa Dutta, Director, R&D invited as a guest for ‘District Science Exhibition-2016’ on 10th August, 2016 at ZPHS, Uppal, Hyderabad. Dr. Gopa Dutta, Director, R&D invited as a guest for ‘2nd GMW and 3rd Meeting of the PAC in Earth and Atmospheric Sciences’ on 30th August to 1st September, 2016 at Department of Physics, SMVD University, Katra, Jammu. Dr. S.V.Ramana, Professor & HOD, MBA Department attended an Interactive Session on Research for Resurgence by Bharatiya Sikshana Mandal on 26th October, 2016 at Osmania University. Dr. S.V.Ramana, Professor & HOD, MBA Department attended as a Speaker, Seminar on Biodiversity, Biotechnology & Personality Development by Bharatiya Sikshana Mandal on 17th November, 2016 at Govt. 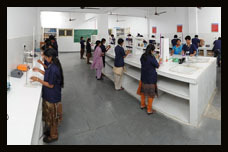 Degree College, Tandur. Gopa Dutta, Director, R&D delivered a talk on ‘Atmospheric dynamics of the climate’ on 23rd June, 2015 at Bella Vista, Raj Bhavan Road, Hyderabad. Gopa Dutta, Director, R&D delivered a talk on ‘Space Science’ on 15th October, 2015 at BVRIT, College of Engineering for Women, Hyderabad. S.V.Ramana, Professor & HOD, Dept. of MBA published the paper titled “A Study on Adoption of Green Practices by Select Hospitals in Twin Cities” in International Journal of Logistics and Supply Chain Management Perspectives © Pezzottaite Journals, Vol.3, No.2, April-June-2014, ISSN (Print): 2319-9032, (Online):2319-9040. Excerpts of an interview on the topic ‘Skill Development Should Be Made Part of Engg Curriculum’, given by Mr. G.Anil Kumar, Training and Placement Officer was published in Indian Express News Paper on 13th October, 2015. V.Santhosh Kumar, Assistant Professor, Dept. of Civil published the paper titled “Efficacy of sodium chloride(NaCl) on the Engineering properties of swelling soils”, International Conference on emerging trends in science technology Engineering and Management International 2749-5613 15 (Print & Online) on 09th October & 2015. V.Santhosh Kumar, Assistant Professor, Dept. of Civil published the paper titled “Interface behavior of Geo materials and Geo synthetics”, International journal of Core Engineering and Management(IJCEM) International 2348-9510 on 12th December & 2015. A.Sai Teja, Assistant Professor, Dept. of Civil published the paper titled “Earthquake resistance design-Impact on cost of Reinforced concrete Buildings”, International Journal in IT and Engineering (IJITE), 2321-1776 (Print & Online), on 15th October & 2015. P.Suman Babu, Assistant Professor, Dept. of Civil published the paper titled “Design of a feature-tuned ANN model based on bulk rock-derived mineral spectra for endmember classification of a hyperspectral image from an iron ore deposit”, International Journal of Remote Sensing, ISSN No: 2037-2062, International 0143-1161 (Print), 1366-5901 (Online) on 20th April & 2015. P.Suman Babu, Assistant Professor, Dept. of Civil published the paper titled “Mixed spectral study of hyperspectral data for abundance estimate of minerals in gua iron ore mines” CIM Journal, Pg No. 208-226, International ISSN: 0317-0926, 20th Sep & 2015. Ch.Rama Rao, Assistant Professor, Dept. of Civil published the paper titled “Techno Economical Use of Quartzite Rock Dust and Effect of Glass Fibers in Rigid Pavements”, International Journal of Engineering Research and General Science, Pg. No. 708-714, International ISSN 2091-2730 Sept-Oct, 2015. Ch.Rama Rao, Assistant Professor, Dept. of Civil published the paper titled “Innovative Use of Quartzite Rock Dust and Effect of Glass Fibers in Rigid Pavements”, International Journal for Research in Applied Science & Engineering, Pg. No. 250-254, International ISSN: 2321-9653, September 2015. B.Dhavaleswar Rao, Professor, Dept. of Civil published the paper titled “Preserve, Conserve and Utilize”, NCWES-2015. K.Shirisha Reddy, Assistant Professor, Dept. of CSE published the paper titled “Security constraints with in cloud TPA environment”, IJIRCCE International journal of innovative research in computer and communication engineering. K.Shirisha Reddy, Assistant Professor, Dept. of CSE published the paper titled “Trust score evaluation based on assessments supporting by TPA in cloud”, IJCSIT International journal of computer science and information technologies. S.Adi Lakshmi, Assistant Professor, Dept. of CSE published the paper titled “Analysis of context based XML data and diversification for keyword search queries”, IOSR. K. Neelima, Professor and HOD and Dr. P.S. Subramanyam, Emeritus Professor, Dept. of EEE published the paper titled “Short term Distribution Load Forecasting using Artificial Intelligence”, International Conference in Mechanical and Electrical Engineering, Los Angeles, USA during 25-09-15 to 26-09-15. K. Neelima, Professor and HOD and Dr. P.S. Subramanyam, Emeritus Professor, Dept. of EEE published the paper titled “Fuzzy based multifunctional DSTATCO operating under stiff source”, International Journal of research in advanced engineering technologies. M.Sharanya, Associate Professor, Dept. of EEE published the paper titled “Application of photo voltaic array in single switch resonant power converter”, International journal of innovative technologies. M.Sharanya, Associate Professor and Mrs. K.Neelima, Professor and HOD, Dept. of EEE, published the paper titled “Integration of MPPT and pitch controller logic in standalone wind energy conversion using FUZZY”, International Journal of research in advanced engineering technologies. M.Sharanya, Associate Professor, Dept. of EEE published the paper titled “A PV based integrated push-pull converter fed to induction motor drive with closed loop FUZZY controller”, International Journal of Scientific Engineering and Technology research. M.Sharanya, Associate Professor, Dept. of EEE published the paper titled “Simulation of a casecade cockeroft-walton voltage multiplier applied to transformer less high step-up DC-AC converter with renewable energy”, International Journal of Scientific Engineering and Technology research. M.Sharanya, Associate Professor, Dept. of EEE published the paper titled “Simulation of the regulated DC voltages from three different sections of converters fed to PMDC motor for constant and equal speed regulation”, International Journal of computer science information and engineering technologies. A.Gopala Krushna, Associate Professor, Dept. of EEE published the paper titled “Control strategy for renewable power integration to the DC micro grid”, International Journal of eminent engineering technologies. A.Gopala Krushna, Associate Professor, Dept. of EEE published the paper titled “Simulation and analysis of solar-wind burp charge system on energy-saving configuration by smart charge management”, International Journal of Scientific Engineering and Technology Research. K.Mamatha Rani, Assistant Professor, Dept. of EEE published the paper titled “An inverted sine carrier PWM strategy to control the photovoltaic inverters connected to grid”, International Journal of computer science and mobile computing. K.Mamatha Rani, Assistant Professor, Dept. of EEE published the paper titled “Simulation of a transformer less active voltage quality regulator for power quality improvement”, International Journal & Magazine of Engineering technology, management and research. K.Mamatha Rani, Assistant Professor, Dept. of EEE published the paper titled “A Photo voltaic system with a DC-DC boost converter connected to three phase grid”, International Journal of Scientific Engineering and Technology Research. V.Jeethender, Assistant Professor, Dept. of EEE published the paper titled “Simulation of soft-switching bidirectional isolated half-bridge converter with active and passive snubbers”, International Journal of Scientific Engineering and Technology Research. V.Jeethender, Assistant Professor, Dept. of EEE published the paper titled “A new technology of single-phase nine-level inverter with less number of power elements for grid connection”, International Journal of computer science and mobile computing. V.Jeethender, Assistant Professor, Dept. of EEE published the paper titled “Simulation of MPPT based high steop-up DC-DC converter fed industrial load”, International Journal of Scientific Engineering and Technology Research. G Poornachandra Rao, Assistant Professor, Dept. of EEE published the paper titled “Positive sequence admittance and negative sequence conductance to mitigate voltage fluctuations in DG systems by using FUZZY controller with D-STATCOM”, International Journal of Research. G Poornachandra Rao, Assistant Professor, Dept. of EEE published the paper titled “Regulation of voltage in multi distributed energy resources by using adaptive voltage control technique”, International Journal of Engineering associates. D. Devendranath Professor, Dept. of EEE published the paper titled “Performance tests of ±1200 KV DC voltage measuring system CPRI”, 19th International Symposium on HVE, Czech Republic during 23-08-15 to 28-08-15. D. Devendranath Professor, Dept. of EEE published the paper titled “Experimental Investigation to study the Ionic current environment for HVDE transmission lines”, 19th International Symposium on HVE, Czech Republic during 23-08-15 to 28-08-15. Ch.S.L.N.Sridhar, Associate Professor and HOD, Dept. of H&S published the paper titled “Structural, Morphological, Magnetic and dielectric characterization of nano-phased Antimony doped Manganese Zinc ferrites”, Journal of Physics and Chemistry of Solids. B. Bapi Raju, Professor, Dept. of H&S published the paper titled “Impact of Cyclone Nilam on tropical lower atmosphere dynamics”, Advances in Atmospheric Sciences. K.V.Dharmendra Kumar, Associate Professor, Dept. of H&S published the paper titled “Study of Noise levels at Commercial and Industrial areas in an urban environment”, International Journal of Engineering Research and Applications. M.Anand Rao, Professor, Dept. of H&S published the paper titled “Synthesis and Antibacterial Activities of some Quinoline substituted Quinoxaline derivatives”, Asian Journal of Chemistry. D.Ravi, Assistant Professor, Dept. of H&S published the paper titled “Politeness Strategies: Akey to effective communication”, International Journal of Conception on Management & social science. Madhu Bala Myneni, Professor and HOD, Dept. of IT published the paper titled “Secure Login for using Graphical Password with CAPTCHA”, International Journal of Engineering Science and Computing (IJESC),vol5,issue 6, pp 2000-2003 ,2015. Madhu Bala Myneni, Professor and HOD, Dept. of IT published the paper titled “Reliable Data Collection in wireless sensor networks and separate out of attacker reaction”, IJRCSE, vol 5, issue 6, pp 3863-3868 , Nov-Dec 2015. Madhu Bala Myneni, Professor and HOD, Dept. of IT published the paper titled “Correlated cluster based imputation for treatment of missing values”, (ICCII-2016), 28th – 30th May 2016, Proc. In Springer. Madhu Bala Myneni, Professor and HOD, Dept. of IT published the paper titled “Data Analytics using R Programming Series”, Published in RPUBS cloud. M.Venkateswara Rao, Associate Professor, Dept. of IT published the paper titled “Protection Preserving Secure Profile Coordinating in Mobile Gregarious Network”(e-ISSN: 2348-6848, p- ISSN: 2348-795X). V.Sridhar Reddy, Assistant Professor, Dept. of IT published the paper titled “Dynamic Resource Multiplexing through Virtualization using Virtual Machines in Cloud Computing”. V.Sridhar Reddy, Assistant Professor, Dept. of IT published the paper titled “Protecting Privacy on Deduced Checking System for Data Stored Cloud”. V.Sridhar Reddy, Assistant Professor, Dept. of IT published the paper titled “An Effective Method For Enumerating Accessibility of Large Scale Cloud Infrastructure” . G.K.Kartika, Assistant Professor, Dept. of IT published the paper titled “Trap and Trace Technique in Honey Trap Server-HONEY POT”, International Journal on Computing and Communications and Systems(IJCCS),ISSN:2277-6699,ISBN:978-93-83038-41-1. G.K.Kartika, Assistant Professor, Dept. of IT published the paper titled “Analysis on Digital Crime and Emergency of Technical Challenges with Cloud Computing” , IJECSE,ISSN:2277-1956/V4 N3-320-325. N.Indira Priyadarsini, Mrs. Y.Srividya and Mrs. G.K.Kartika, Assistant Professors, Dept. of IT published the paper titled “Overview of two servers cryptographic key exchange authentication methods”, Proceeding of 3rd International Conference on Innovations in Computer Science & Engineering (ICICSE). Y.Srividya, Assistant Professor, Dept. of IT published the paper titled “Correlated cluster based imputation for treatment of missing values”, (ICCII-2016), 28th – 30th May 2016, Proc. In Springer. Y.Srividya, Assistant Professor, Dept. of IT published the paper titled “Overview of two servers cryptographic key exchange authentication methods”, Proceeding of 3rd International Conference on Innovations in Computer Science & Engineering(ICICSE). N.Indira Priyadarsini and Mrs. G.K.Karthika, Assistant Professors, Dept. of IT published the paper titled “Analysis on Digital Crime and Emergency of Technical Challenges with Cloud Computing” , IJECSE,ISSN:2277-1956/V4 N3-320-325. N.Indira Priyadarsini, Assistant Professor, Dept. of IT published the paper titled “Overview of two servers cryptographic key exchange authentication methods”, Proceeding of 3rd International Conference on Innovations in Computer Science & Engineering (ICICSE). S.Bhagya Rekha, Assistant Professor, Dept. of IT published the paper titled “Protocols for Implementing Histogram LOB in chord Networks”, (IJCSIT) International Journal of Computer Science and Information Technologies, Vol. 7 (1), 2016, 149-152 ISSN :0975-9646. P.Swetha, Assistant Professor, Dept. of IT published the paper titled “Technical and functional challenges in On-Demand dynamic and scalable resource allocation” in International Journal of Scientific Research and Engineering Technology (IJSRET), ISSN: 2278-0882. P.Swetha, Assistant Professor, Dept. of IT published the paper titled “Classification of attacks in cloud computing Model based on current scenarios” in International Journal of Innovative Research in Computer and Communication Engineering (IJIRCCE), ISSN: 2320-9801. B.Manjulatha, Assistant Professor, Dept. of IT published the paper titled “Cyber Security for Remote Patient Monitoring Systems”, International Journal of Science and Research (IJSR) ISSN (Online): 2319-7064. Index Copernicus Value (2013): 6.14 | Impact Factor (2015): 6.391, Volume 5 Issue 5, May 2016. Mrs. N.Priyanka, Assistant Professor, Dept. of ME published the paper titled “Design of Casting while using crucial inputs from flow simulation and validation with radiographic experimentation”, IJETT. N.Priyanka, Assistant Professor, Dept. of ME published the paper titled “Experimental and numerical investigation of case gear meter casting die”, IJER. N.Priyanka, Assistant Professor, Dept. of ME published the paper titled “Utilizing Flow Simulation in the design phase of casting Die To optimize Design parameters and defect analysis”, ELSEVIER PUBLICATION- Material today proceedings. K.Susheela, Assistant Professor, Dept. of ME published the paper titled “Finite element analysis of Leaf Springs”, IJIRTSE. K.Susheela, Assistant Professor, Dept. of ME published the paper titled “Study the Performance of Diesel Engine Using Nerium Blends as an alternative Fuel”, IJIRTSE. Reeti Mukherjee, Assistant Professor, Dept. of ME published the paper titled “Effect of stacking sequence on a 20 ply compsite laminate with respect to the 60 degree angle ply”, IJAER. M.K.Satya Sai, Associate Professor, Dept. of ME published the paper titled “Review on composite materials and its applications”, IJLTET. N.Himabindu, Assistant Professor and Prof. B.Brahma Reddy, Professor, Dept. of ECE published the paper titled “Redundant actor based multi-hole healing system mobile sensor networks”, International Journal of computer applications technology and research. Y.Roji, Assistant Professor, Dept. of ECE published the paper titled “Optimized Image Embedding in QR codes”, International Journal of Research. T. Sravanthi, Assistant Professor, Dept. of ECE published the paper titled “Motion vector based video streganography”, International Journal of professional engineering studies. T. Sravanthi, Assistant Professor, Dept. of ECE published the paper titled “Multi-temporal image analysis using NSCT fusion and supervised classifier for detection of buildings”, International Journal of Scientific Engineering and Technology Research. R. Neeharika, Assistant Professor, Dept. of ECE published the paper titled “Friendly arm based robust kernel”, International Journal of Research. B.Anil Kumar, Assistant Professor, Dept. of ECE published the paper titled “Review of advanced mobile communications from 1G to 7G”, International journal of Applied engineering and Research (SJR). K.Suresh, Assistant Professor, Dept. of ECE published the paper titled “A reversible colour transformations based on secret fragment visible mosaic digital images”, International Journal & Magazine of Engineering technology, management and research. B.D.Mathews, Assistant Professor, Dept. of ECE published the paper titled “Advanced arm architecture for industrial WSN stacks with RTOS”, International Journal of Advanced Technology and innovative research. S Kiran Babu, Associate Professor, Dept. of ECE published the paper titled “Removal noise for industrial image applications using LLOYDS cluster segmentation technique”, International Journal of Advanced Technology and innovative research. S.Kiran Babu, Associate Professor, Dept. of ECE published the paper titled, “Design and implementation of FPGA based 32-bit barrel shifter”, International Journal of VLSI system design and communication systems. Ch. Suneetha, Associate Professor, Dept. of ECE published the paper titled, “Design of Qt embedded Linux system for video capture”, International Journal of Advanced Technology and innovative research. Ch. Suneetha, Associate Professor, Dept. of ECE published the paper titled, “Recovery of OQAM signals using carrier frequency offset and blind symbol timing estimation in OFDM systems”, International Journal of research in advanced engineering technologies. Ch. Suneetha, Associate Professor, Dept. of ECE published the paper titled, “Management and research, Security enhanced cooperative Game theory for mobile adhoc network”, International Journal & Magazine of Engineering technology. B Divya, Assistant Professor, Dept. of ECE published the paper titled “Implementation of portable camera based assistive text and product label reading from hand held objects by using embedded Linux”, International Journal of Advanced Technology and innovative research. B Divya, Assistant Professor, Dept. of ECE published the paper titled “Smart uniform fire fighters in harsh environment”, International Journal of Advanced Technology and innovative research. K.J.Onesim, Assistant Professor, Dept. of ECE published the paper titled “An arm based DPA attack analysis through AED encryption standard”, International Journal of Advanced Technology and innovative research. T. Pushpa, Assistant Professor, Dept. of ECE published the paper titled “Intelligent monitoring of data through embedded web-server using arm9”, International journal of Research. T Pushpa, Assistant Professor, Dept. of ECE published the paper titled “Implementation of home care system on wireless sensor network system”, International Journal of scientific engineering and technology research. S.V.Ramana, Professor & HOD, Dept. of MBA published the paper titled “Power of Private Level Brands- A Survey of Select Respondents” in International Organization of Scientific Research. S.V.Ramana, Professor & HOD, Dept. of MBA published the paper titled “A Study of Select Respondents about their choice of Retail Chain Stores” in International Journal of Business Quantitative Economics and Applied Management Research. K.Ramesh Babu, Associate Professor, Dept. of MBA published the paper titled “Advertisements of Soft Drinks brands-Impact on Telangana Soft Drink Consumers Preferences” in Journal of Banking, Information Technology and Management. P.Sridhar, Associate Professor, Dept. of MBA published the paper titled “A study on commodity price influence on commodity related stocks” in International Journal of Business Intelligence and Innovations. P.Sridhar, Associate Professor, Dept. of MBA published the paper titled “A Study on influence of interest rate on the stock prices of SBI & Punjab National Bank” in Journal of Business quantitative Economics and applied Research Management. 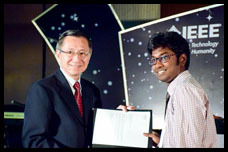 B.Anil Kumar, Assistant Professor, Dept. of ECE presented the paper titled “Overview of Advances in Communication Technologies” in International Conference on Electromagnetic Interference and Compatibility (INCEMIC-2015), held on 22nd & 23rd July, 2015, Organized by Andhra University, Visakhapatnam. G.K.Karthika, Ms. N.Indira Priyadarshini and Mrs. Y.Sri Vidya, Assistant Professors, Dept. of IT presented the paper titled “Overview of Two Servers Cryptographic Key Exchange Authentication Methods” in International Conference on Innovations in Computer Science & Engineering (ICICSE-2015), held on 7th & 8th August, 2015, Organized by Guru Nanak Engineering College, Ibrahimpatnam. B.Dhavaleswar Rao, Professor, Dept. of CIVIL presented the paper titled “Preserve, Conserve and Utilize” in National Conference on Water, Environment and Society (NCWES-2015), held on 30th & 31st July, 2015, Organized by Jawaharlal Nehru Technological University, Hyderabad. S.V.Ramana, Professor and HOD, Dept. 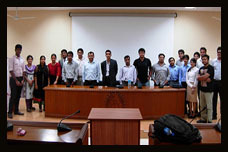 of MBA presented the paper titled “Why Employees Opt for VRS? – A Case Study of Novartis” in National Seminar on “Human Resource Management : Exploring New Dimensions”, held on 12th & 13th December, 2015, Organized by Bommidala Department of Human Resource Management, Acharya Nagarjuna University, Guntur, Andhra Pradesh. S.V.Ramana, Professor and HOD, Dept. of MBA presented the paper titled “A Study of Select Respondents about their Choice of Retail Chain Stores” in International Conference on Challenges and Emerging Trends in Management & Technology [ICCEMT-2015], held on 12th December, 2015, Organized by School of Management Sciences, Nalla Narasimha Reddy Education Society’s Group of Institutions, Chowariguda, Ranga Reddy District, Telengana. Gopa Dutta, Director, R&D, Mr. K.Krishna Kohan, Mr. E.Krishna and Mr. P.Vinay Kumar, Research Scholars, R&D Cell presented the paper titled “Seasonal and latitudinal variations of characteristics of gravity waves with short vertical wavelengths” during 9th to 12th February, 2016 in 19th National Space Science Symposium held at Vikram Sarabhai Space Centre, Thiruvananthapuram. Gopa Dutta, Director, R&D, Mr. P.Vinay Kumar, Mr. E.Krishna and Mr. Salauddin Mohammad, Research Scholars, R&D Cell presented the paper titled “Impact of cyclone Nilam on tropical lower atmospheric dynamics” during 9th to 12th February, 2016 in 19th National Space Science Symposium held at Vikram Sarabhai Space Centre, Thiruvananthapuram. Gopa Dutta, Director, R&D, Mr. Salauddin Mohammad, and Mr. P.Vinay Kumar, Research Scholars, R&D Cell presented the paper titled “Observations of quasi two day wave (QTDW) over Hyderabad and Gadanki” during 9th to 12th February, 2016 in 19th National Space Science Symposium held at Vikram Sarabhai Space Centre, Thiruvananthapuram. Gopa Dutta, Director, R&D, Mr. P.Vinay Kumar, and Mr. E.Krishna Mohan, Research Scholars, R&D Cell presented the paper titled “Variation of stratospheric and tropospheric ozone with seasons and latitude” during 9th to 12th February, 2016 in 19th National Space Science Symposium held at Vikram Sarabhai Space Centre, Thiruvananthapuram. C.B.R.Lakshmi, Assistant Professor, Dept. of ECE presented the paper titled “Analysis of Ionosphere Scintillations Using GPS Receiver at VBIT, Aushapur” during 9th to 12th February, 2016 in 19th National Space Science Symposium held at Vikram Sarabhai Space Centre, Thiruvananthapuram. N.Hemalatha, Assistant Professor and Mr. Ch.S.L.N.Sridhar, Associate Professor, Dept. of H&S presented the paper titled “Development of Nano Crystalline Magnetite Using Sol-Gel Method” during 21st to 22nd March, 2016 in Emerging Trends in Analytical Sciences (ETAS-2016), Theme” “Indian Perspectives on Food & Pharma Analysis”, held at CSIR-IICT, Hyderabad. Pushpa Kumari Sharma, Assistant Professor, Dept. of CIVIL presented the paper titled “Strength and deformation characteristics of mechanically stabilize expensive soil using fly ash and lime” ICETSTEM (International conference on emerging trends in science, technology, engineering and management) Conducted by Malla Reddy Engineering College, Hyderabad on 9th to 10th October, 2015. M.Kalpana, Assistant Professor, Dept. of CSE presented the paper titled “Cyber warfare and military applications of security based on cloud computing architecture” at NCEITCS-2016 in Vasavi college of engineering. N.Swapna, Assistant Professor, Dept. of CSE presented the paper titled “Mutual load distribution model to maximize profit in multi tenancy” at NCEITCS-2016 in Vasavi college of engineering. S.Bhavani, Assistant Professor, Dept. of CSE presented the paper titled “Role of Information Technology Supporting Law Enforcement using Crime Data Mining” at Osmania University. Mrs. A. Ashwini , Associate Professor & Ms. T. Swarupa Rani, Assistant Professor, Dept. of H&S presented the paper titled “Creating a Gender Sensitized World-A path towards Gender Equality”, during 1st & 2nd April, 2016 at BVRIT. Mrs. A. Ashwini, Associate Professor, Dept. of H&S presented the paper titled “Gender Sensitization”, during 30-01-2016 at R&D, VBIT. D.Ravi, Assistant Professor, Dept. 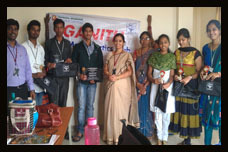 of H&S presented the paper titled “Developing Pregmatic competence of Engineering Students through Task Based Language Teaching”, during 13th & 14th March, 2016 at Acharya Nagarjuna University, Guntur. N.Priyanka, Assistant Professor, Dept. of ME presented the paper titled “Utilizing Flow Simulation in the design phase of casting Die To optimize Design parameters and defect analysis”, ICAAMM- 2016. N.Priyanka, Assistant Professor, Dept. of ME presented the paper titled “Design of Casting while using crucial inputs from flow simulation and validation with radiographic experimentation”, ICGTETM-2016. N.Priyanka, Assistant Professor, Dept. of ME presented the paper titled “Experimental and numerical investigation of case gear meter casting die”, PGCON-2015. K. Susheela, Associate Professor, Dept. of ME presented the paper titled “Performance of a direct injection diesel engine with cotton seed oil as an alternative fuel”, NCRTST-2015. R. Harika, Assistant Professor, Dept. of ME presented the paper titled “Flutter & divergence analysis of C-cross sectioned beam made of graphite epoxy”, ICEEE-2016. B. Anil Kumar, Assistant Professor, Dept. of ECE presented the paper titled “Enhanced certificate revocation technique with energy efficient cluster formation for mobile adhoc networks”, Proceedings of International conference on Innovations in Electronics & communication Engineering,. S.V.Ramana, Professor & HOD, MBA Department delivered a talk on ‘How to Spread Value Based Education’, at Vijaya Degree College, Mahabubnagar on 26th June, 2015. S.V.Ramana, Professor & HOD, MBA Department delivered a talk on ‘Value Education for Under Graduate students’, at Govt. Degree College, Hayathnagar on 19th August, 2015. S.V.Ramana, Professor & HOD, MBA Department delivered a talk on ‘Addressing the Teachers on How to Spread Value Based Education programme’ on the occasion of Teachers Day i.e., 05-09-2015, at Sree Vidya Vihar Hish School, Annojiguda, Ghatkesar, Ranga Reddy District. C.R.N.Sarma, Director, Student Affairs attended a talk on ‘Silver Jubilee Faraday Memorial Lecture 2015’ delivered by the Eminent Scientist Dr. Narendra Ahuja, FIEEE on 22-09-2015, PS Telugu University Auditorium, Next to Public Garden Nampally side Gate, Hyderabad. G.Anil Kumar, Training and Placement Officer attended as a Guest Speaker for Global Indian Achievers seminar organized by ELS on 11th October, 2015 at Hyderabad. S.V.Ramana, Professor & HOD, MBA Department delivered a talk on ‘Welcome to Mind Openers’ for Students and ‘How to interact with Students while Teaching’ for Teachers, at Gayathri Institute of Technology and Sciences, Rajapet, Wanaparthy, Mahboobnagar District on 18th December, 2015. Dr. S.V.Ramana, Professor & HOD, Dept. of MBA published the paper titled “A Study on Adoption of Green Practices by Select Hospitals in Twin Cities” in International Journal of Logistics and Supply Chain Management Perspectives © Pezzottaite Journals, Vol.3, No.2, April-June-2014, ISSN (Print): 2319-9032, (Online):2319-9040. Mr. M.Srinivasa Reddy, Physical Director, Dept. of H&S published the paper titled “Relationship of Lower Limb Length to the Agility of Athletes” in International Journal of health, Physical Education and Computer Science in Sports”, Vol.15, No.2, pp 134-137, Journal Impact Factor 0.624, ISSN: 2231-3265. Mr. M.Prakash Babu, Associate Professor, Dept. of Mechanical published the paper titled “Lagrangian model for Simulating Turbulent Dispersion and Agglomeration of Droplets within a Spray” in International Journal of Advanced Technology in Engineering and Science”, Vol.02, Issue No.11, November 2014, ISSN (online): 2348-7550. Mr. M.Srinivasa Reddy, Physical Director, Dept. of H&S published the paper titled “Construction of Norms for Selection of Volleyball Players” in International Journal of Engineering Research and Sports Science”, Vol.1, Issue 11, November, 2014. Mr. E.Prasad, Assistant Professor, Dept. of H&S presented the paper titled “Introducing Google Plus and Its Features in teaching and Learning” in International Conference on Mathematical Sciences ICMS-2014, held on 17th & 19th July, 2014, Organized by Sathyabama University, Chennai in association with University of Central Florida, USA & The Institute of Mathematical Sciences (IMSc), Chennai..
Mr. B.Brahma Reddy, Professor, Dept. of ECE presented the paper titled “Multichannel approach for LEACH” in National Conference on Communications, Signal Processing and Systems (NCCSPS-2014), held on 24th Engineering, JNTUH College of Engineering, Kukatpally, Hyderabad (Printed also in Journal of Technology Spectrum – JNTUH, ISSN: 0974 – 6854). Mrs. M.Kalpana, Assistant Professor, Dept. of CSE presented the paper titled “Secure Dynamic Routing Framework Techniques for Wireless Sensor Networks” in National Conference on Recent Research Advancements in Information Technology held on 25th of Information Technology, Organized by B.V.Raju Institute of Technology, Medak, ISBN No. 978-93-82163-73-2. Dr. C.R.N.Sarma received IEEE certificate in recognition and appreciation of valued services and contribution as Outstanding Branch Counselor for the year 2013. Dr. S.V.Ramana, Professor & HOD, MBA Department delivered a talk on ‘Imparting Values in Education’, in Bharatiya Sikshana Mandal seminar on 9th November, 2014 at Gadwal. • Mr. S.Prashanth, Mr. M.Santhosh, & Mr. I.Rahul, Assistant Professors, Dept. of EEE published the paper titled “Space Vector Modulation Algorithm for Multi Level Inverter” in International Journal of Scientific & Engineering Research, Vol.4, Issue-6, June-2013, ISSN: 2229-5518. • Mr. P.Sathyanarayana, Mr. A.Gopalakrushna, & Ms. J.Archana, Assistant Professors, Dept. of EEE published the paper titled “Intelligent Low Cost mobile phone based Irrigation System using ARM” in International Journal of Scientific & Engineering Research, Vol.4, Issue-7, June-2013, ISSN: 2229-5518. • Mr. E.Prasad, Assistant Professor, Dept. of H&S published the paper titled “Increase Affordability and Accessibility of Education in India Using Social Networks” in International Journal of Research & Development, ISSN: 2279-073x. • Mr. D.Srinivas Goud, Assistant Professor, Dept. of CSE published the paper titled “Secured Path For Message Transmission In Group Network Using Elliptic Curve Cryptography” in International Journal of Innovative Research & Development, Vol.2, Issue-6, June 2013, ISSN: 2278-0211 (Online). • Mr. M.Katta Swamy, Assistant Professor, Dept. of ECE published the paper titled “Performance Analysis of DSSS and FHSS Techniques Over AWGN Channel” in International Journal of Electronics, Communication & Instrumentation Engineering Research & Development, Vol.3, Issue-2, June 2013, ISSN: 2249-684X. • Mr. B.Veeresh Kumar, Assistant Professor, Dept. of ECE published the paper titled “Implementation Of Method For Real Time Monitoring Dynamic Vehicle Loading Based On Multi Sensors” in International Journal of Engineering Research & Technology, Vol.2, Issue-7, July 2013, ISSN: 2278-0181. • Mr. K.Sreekanth & Mr. G.Arun, Assistant Professors, Dept. of IT published the paper titled “A Novel Learning Formulation in a unified Min-Max Framework for Computer Aided Diagnosis” in IOSR Journal of Computer Engineering (IOSR-JCE), e-ISSN:2278-0661, p-ISSN: 2278-8727, Volume 13, Issue-2, July-Aug. 2013, PP 14-24. • Mr. M.V.Subramanyam, Associate Professor & Mr. G.Poornachandra Rao, Assistant Professor, Dept. of EEE published the paper titled “Fuzzy Logic Closed Loop Control of 5 level MLI Driven Three phase Induction motor” in International Journal of Power Electronics and Drive System, Vol.3, No.2, June-2013, pp. 200-208. • Mrs. K.S.Mani, Associate Professor & Mr. B.Praveen Kumar (M.Tech., student), Dept. of EEE published the paper titled “Optimal Location of Fuel Cell Based Distributed Generation In Distribution System” in International Journal of Engineering Research & Technology, ISSN: 2278-0181, Vol.2, Issue 9, September-2013, pp. 1582-1588. • Mrs. M.Sharanya, Associate Professor & Mr. P.Kishore Kumar (M.Tech., student), Dept. of EEE published the paper titled “Design of Hybrid Series Active Filters for Harmonic Reduction in Single Phase Systems” in International Journal of Modern Engineering Research, ISSN: 2249-6645, Vol.3, Issue 5, Sept. – Oct. 2013, pp. 3170-3176. • Mrs. K.S.Mani, Associate Professor & Mr. B.Sunil Kumar (M.Tech., student), Dept. of EEE published the paper titled “Impacts of the Distributed Generator and DSTATCOM Devices on Power Quality of Utility Connected Grid” in International Journal of Advanced and Innovative Research, ISSN: 2278-7844, Vol.2, Issue 9, pp. 336-342. • Mr. M.V.Subramanyam, Associate Professor & Mr. Srinivas Mende (M.Tech., student), Dept. of EEE published the paper titled “A Multi String PV Based Multi Level Inverter for Distributed Energy Resources” in International Journal of Power System Operation and Energy Management, Vol.4, ISSN (Print): 2231 – 4407, Issue-1, 2013. • Mrs. M.Sharanya, Associate Professor & Mr. B.Kiran Kumar (M.Tech., student), Dept. of EEE published the paper titled “Improvement of Power Quality Using Hybrid Active Power Filter in Three-Phase Three-Wire System Applied to Induction Drive” in International Journal of Power System Operation and Energy Management, ISSN: 2231-4407, Vol.4, Issue 1, 2013. • Dr. S.V.Ramana, Professor & Mrs. V.Prathiba, Assistant Professor, Dept. of MBA published the paper titled “An Empirical Study on Awareness Levels of Corporate Social Responsibility with A Special Reference to Ford Foundation” in International Journal of Research in Computer Application & Management, Vol.3, ISSN: 2231 – 1000, Issue-10, October, 2013. • Mr. M.V.Subramanyam, Associate Professor & Mr. B.Preetham Reddy (M.Tech., student), Dept. of EEE published the paper titled “THD Analysis for 3-Phase 5-Level Diode Clamped Multilevel Inverter Using Different PWM Techniques” in International Journal of Engineering Research & Technology, ISSN: 2278 – 0181, Vol.2, Issue-10, October, 2013. • Mr. K.Rama Koteswar Rao, Assistant Professor, Dept. of H&S published the paper titled “A Triple Fixed Point Theorem for Multimap in a Hausdorff Fuzzy Metric Space”, Hindawi Publishing Corporation, Journal of Mathematics, Vol.2013, Article ID 812153, 6 pages. • Mr. K.Rama Koteswar Rao, Assistant Professor, Dept. of H&S published the paper titled “A Common Fixed Point Theorem for Two Hybrid Pairs of Mappings in b-Metric Spaces”, Hindawi Publishing Corporation, Journal of Analysis, Vol.2013, Article ID 404838, 4 pages. • Mr. K.Rama Koteswar Rao, Assistant Professor, Dept. of H&S published the paper titled “A Suzuki Type Unique Common Coupled Fixed Point Theorem in Metric Spaces”, International Journal of Innovative Research in Science, Engineering and Technology, Vol.2, Issue 10, October, 2013, ISSN: 2319-8753. • Mr. K.Rama Koteswar Rao, Assistant Professor, Dept. of H&S published the paper titled “Coupled Coincidence Point Theorems for (ψ, α, β)-Weak Contractions in Partially Ordered Partial Metric Spaces”, Punjab University, Journal of Mathematics (ISSN: 1016-2526), Vol. 45, pp. 51-62. • Mr. K.Rama Koteswar Rao, Assistant Professor, Dept. of H&S published the paper titled “A Common Tripled Fixed Point Theorem For Jungck Type Mappings In G-Metric Spaces”, Gazi University, Journal of Science GU J Sci, 26(30: 363-368 (2013). • Mr. K.Rama Koteswar Rao, Assistant Professor, Dept. of H&S published the paper titled “Some Fixed Point Theorems in Symmetric G-Cone Metric Spaces”, Eurasian Mathematical Journal, ISSN: 2077-9879, Vol.3, Number 2 (2012), 85-93. • Mr. N.Srinivas, Associate Professor & Ms. K.Pallavi Reddy (M.Tech., student), Dept. of CSE published the paper titled “BVRA: Bandwidth Assured Virtual Resource Allocation using Multiple Slices of Uplink Communication”, International Journal of Information and Computation Technology, ISSN: 0974-2239, Vol.3, Number 6 (2013) pp. 561-568. • Mr. N.Srinivas, Associate Professor, Dept. of CSE & Mr. M.Venkateswar Rao, Associate Professor, Dept. of IT published the paper titled “An Experimental Study on Validation of Combinatorial Allocation in Cloud Computing Environment”, Journal of Information, Knowledge and Research in Computer Engineering, ISSN: 0975-6760, Nov., 12 to Oct., 13, Vol.2, Issue-02. • Mr. N.Srinivas, Mr. Navnath D. Kale, Associate Professors, Mr. D.Kiran Kumar, Assistant Professor & Mr. B.Sunil Kumar (M.Tech., student) Dept. of CSE published the paper titled “Enhanced Data Synchronization Results using GPS and Tora in Highly Dinamic Networks”, Sunil–International Journal of Computer Science Information and Engineering Technologies, ISSN: 2277-4408, Issue 3, Vol. 2 Series 4. • Mrs. K.Shirisha Reddy, Associate Professor & Mr. A.Santhosh Kumar (M.Tech., student) Dept. of CSE published the paper titled “HASBE: A Hierarchical Attribute-Based Solution for Flexible and Scalable Access Control in Cloud Computing”, International Journal of Scientific Engineering and Technology Research, ISSN: 2319-8885, Vol. 2, Issue 17, November-2013, pp. 1946-1951. • Mr. G.Poorna Chandra Rao, Assistant Professor & Mr. A.Kasi Reddy (M.Tech., student) Dept. of EEE published the paper titled “Improvement of Power Quality Features Using Cascaded H-Bridge Multilevel Inverter Based DSTATCOM under Fault Condition”, International Journal of Power System Operation and Energy Management, ISSN: 2231-4407, Vol. 4, Issue 1, 2013. • Mr. P.Varaprasada Reddy, Assistant Professor & Mr. B.Krishna, (M.Tech., student) Dept. of EEE published the paper titled “Design and Simulation of Optimal Placement of SFCL in Smart Grid Applications”, International Journal of Power System Operation and Energy Management, ISSN (PRINT): 2231-4407, Vol. 4, Issue 2, 2013. 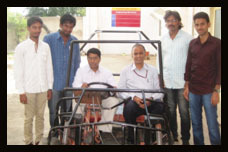 • Mr. M.Sai Prasad Reddy, Mr. A.Gopala Krushna, Assistant Professors & Mr. Y.Nagarjun Reddy, (M.Tech., student) Dept. of EEE published the paper titled “A Scalable Three Port Converter for Renewable Power Systems”, International Journal of Advanced Research in Electrical, Electronics and Instrumentation Engineering, ISSN (Print): 2320-3765, Vol. 2, Issue 8, August 2013. • Mr. A.Gopala Krushna, Assistant Professor & Mr. M.Mahesh, (M.Tech., student) Dept. of EEE published the paper titled “Power Quality Improvement of Grid Connected Hybrid PV Wind Renewable Energy Sources Using Hybrid Fuzzy Controller”, International Journal of Power System Operation and Energy Management, ISSN (PRINT): 2231-4407, Vol. 4, Issue 1, 2013. • Mr. T.Naveen, Assistant Professor, Dept. of EEE published the paper titled “Improvement of Power Quality Using D-Statcom Based PV Distribution System with Various Load Conditions”, International Journal of Engineering Research & Technology, ISSN: 2278-0181, Vol. 2, Issue 9, September 2013. • Mrs. K.Neelima, Associate Professor & Ms. Y.Soujanya (M.Tech., student) Dept. of EEE published the paper titled “Design of New Z-source Inverter based DVR for Power Quality Improvement”, International Journal of Power System Operation and Energy Management, ISSN (PRINT) : 2231-4407, Vol. 4, Issue 1, 2013. • Mrs. K.Neelima, Associate Professor & Ms. A.Sreelaxmi (M.Tech., student) Dept. of EEE published the paper titled “Improvement of Power Quality Using D-STATCOM Based PV Distribution System with Various Load Conditions”, International Journal of Power System Operation and Energy Management, ISSN (PRINT) : 2231-4407, Vol. 4, Issue 1, 2013. • Mr. M.Santhosh, Assistant Professor & Mr. M.Naresh Kumar (M.Tech., student) Dept. of EEE published the paper titled “Performance Analysis of UPQC at Motor Drive Loading Conditions”, International Journal of Power System Operation and Energy Management, ISSN (PRINT) : 2231-4407, Vol. 4, Issue 1, 2013. • Mrs. G.Indira Rani, Assistant Professor & Ms. B.Poolamma (M.Tech., student) Dept. of EEE published the paper titled “Single Stage Boost Inverter with Distributed Generation Applications”, International Journal of Power System Operation and Energy Management, ISSN (PRINT) : 2231-4407, Vol. 4, Issue 1, 2013. • Ms. J.Archana, Assistant Professor and Mr. B.Ramesh (M.Tech., student), Dept. of EEE published the paper titled “Integration of PV Source Using Full-Bridge-Forward DC-DC Converter for a Microgrid Application” in International Journal of Power System Operation and Energy Management, ISSN: 2231-4407, Vol.4, Issue-1, June-2013. • Mr. V.Sridhar Reddy, Assistant Professor, Dept. of IT published the paper titled “Privacy in Query Processing with Anonymiser in Road Networks” in International Journal of Application or Innovation in Engineering & Management, ISSN: 2319-4847, Vol.2, Issue-7, July-2013. • Mr. V.Sridhar Reddy, Assistant Professor and Mr. M.Venkateswara Rao, Associate Professor, Dept. of IT published the paper titled “Wireless networks Security Using Dispersive Routing Mechanism” in International Journal of Computer Science and Network, ISSN: 2277-5420, Vol.2, Issue-2, April-2013. • Mr. K.Ramesh Babu, Associate Professor, Dept. of Business Management, published the paper titled “Employment to Indian Youth and Contribution of Advertisement Industry : A Review of Employment Opportunities” in Asian Journal of Research in Social Sciences & Humanities, ISSN: 2250-1665, Vol. 3, Issue-11, November, 2013. • Mr. K.Ramesh Babu, Associate Professor, Dept. of Business Management, published the paper titled “Impact of Advertisements on Customer Preferences (An Empirical Study on Multiple Product Categories)” in Asian Journal of Research in Business Economics & Management, ISSN: 2250-1673, Vol. 3, Issue-10, October, 2013. • Mr. K.Ramesh Babu, Associate Professor, Dept. of Business Management, published the paper titled “Impact of Online Advertisements on Student and Professional Employees : A Research On Consumer Behavior” in International Journal of Customer Relations, Vol. 1, Issue-2, September, 2013. • Mr. K.Ramesh Babu, Associate Professor, Dept. of Business Management, published the paper titled “Child Phychology at Advertisements and Theory of Visual Contructivism” in International Journal of Marketing and Business Communication, Vol. 2, Issue-4, October, 2013. • Mr. K.Ramesh Babu, Associate Professor, Dept. of Business Management, published the paper titled “Online Display Advertisements and their Contribution in Drawing Attention of Online Users” in International Journal of Research, ISSN: 2250-1991, Vol. 2, Issue-7, July, 2013. • Mr. K.Ramesh Babu, Associate Professor, Dept. of Business Management, published the paper titled “Work-Life Balance” – An Empirical Study of Managers of Select Pharmaceutical Companies” in International Journal of Applied Research, ISSN: 2249-555X, Vol. 3, Issue-2, February, 2013. • Mr. K.Ajay Kumar, Associate Professor, Dept. of MBA presented the paper titled “Employment Relations In India : The Recent Experiences” in National Seminar on “Building Positive Employment Relations in India : The Way Forward”, held on 27th & 28th July, 2013, Organized by Department of Public Administration & Human Resource Management, Kakatiya University, Warangal. • Mr. K.Ramesh Babu, Associate Professor, Dept. of MBA presented the paper titled “Changing Face Of Employment Relations in India Causes and Coping Strategies” in National Seminar on “Building Positive Employment Relations in India : The Way Forward”, held on 27th & 28th July, 2013, Organized by Department of Public Administration & Human Resource Management, Kakatiya University, Warangal. • Mrs. T.Swarupa Rani, Assistant Professor, Dept. 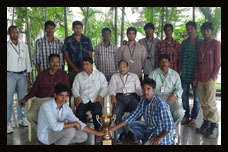 of H&S and Mr. Prashanth Akundi, IV B.Tech, Dept. of CSE, Roll No.10P61A0559 presented the paper titled “True Development in Education is Effective Imparting and Implementing of Knowledge in a Practical Perspective” in National Seminar on “Quality Initiatives in Higher Education – Exploring New Frontiers”, held on 3rd August, 2013, Organized by St. Mary’s College, Yousufguda, Hyderabad. • Mr. K.Ramesh Babu, Assistant Professor, Dept. of MBA presented the paper titled “A Comparative Study of Indian Retailing with Top Ten Global Retail Markets” in National Seminar on “Retailing in India”, held on 13th & 14th August, 2013, Organized by School of Management Studies, JNTU, Hyderabad. • Mr. P.Sridhar, Assistant Professor, Dept. of MBA presented the paper titled “A Study On The Retail Analytics Practices Implemented By The organized Retail Stores-With Reference to Hyderabad City” in National Seminar on “Retailing in India”, held on 13th & 14th August, 2013, Organized by School of Management Studies, JNTU, Hyderabad. • Mrs. T.Swarupa Rani and Mrs. J.Rujus Ruth Livingstone, Assistant Professors, Dept. of H&S presented the paper titled “Language and Inclusive Education – Action Research in Teaching English : Practical Perspective” in Two Day U.G.C National Seminar on “Language, Society and Other Issues with Special Reference to English”, held on 20th & 21st September, 2013, Organized by Singareni Collieries Women’s Degree & PG College, Kothagudem. • Mrs. M.Sharanya, Associate Professor, Mr. P.Kishore Kumar and Ms. G.Srivani, M.Tech (E.P.S.,), Dept. of EEE presented the paper titled “Harmonic Reduction in Single Phase Systems by Using a Hybrid Series Active Filter” in National Conference on “Advances and Applications in Power Systems, Power Electronics and Solar Energy”, held on 24th & 25th October, 2013, Organized by JNTUH College of Engineering, Jagitial. • Mrs. M.Sharanya, Associate Professor, Dept. of EEE presented the paper titled “Voltage Quality Improvement and Harmonic Mitigation using Custom Power” in IEEE Prime Asia 2013 Conference on 20th & 21st December, 2013 at Giram University, Visakhapatnam. • Dr. P.Kousalya, Professor & HOD, Dept. of H&S presented the paper titled “A comparative study of Geometric mean method, Lambda max method and Stochastic Vector Method in decision making” in XXII Congress of APSMS & National Conference on Recent Trends in Applications of Mathematics 13th to 15th December, 2013 at Anurag Group of Institutions. • Mrs. M.Sharanya, Associate Professor, Dept. of EEE presented the paper titled “Harmonic Mitigation Using Unified Power Quality Conditioners and Hybrid Active Power Filters” in International Conference on “Innovative Trends in Electrical, Power Control, Electronics and Communication Engineering”, held on 18th &19th January, 2014, Organized by Krishi Sanskriti, Jawaharlal Nehru University, New Delhi. • Mr. T.Naveen, Assistant Professor, Mrs. S.Neelima, Associate Professor and Dr. P.S.Subramanyam, Professor, Dept. of EEE presented the paper titled “A Novel Control strategy for Hybrid AC/Dc Micro Grid Systems” in National Conference on Power Distribution, held on 6th &7th February, 2014, Organized by Central Power Research Institute, Hyderabad. Mr. K.Ajay Kumar, Associate Professor, Dept. of MBA presented the paper titled “Training Effectiveness in Cement Industry : A Case Study of Kesoram Cements” in International Seminar on “Recent Trends in Training & Development”, held on 6th & 7th February, 2014, Organized by JNTU, Hyderabad. • Dr. Gopa Dutta, Director, R&D and Mr. P.Vinay Kumar, Research Scholar, R&D Cell presented the paper titled “Long term trend of diurnal tide over a tropical station” during 29th January to 1st February, 2014 in 18th National Space Science Symposium, Dibrugarh, Assam. • Dr. Gopa Dutta, Director, R&D and Mr. P.Vinay Kumar, Research Scholar, R&D Cell presented the paper titled “Long term trend of diurnal tide over a tropical station” during 12th to 17th January, 2014 in SPARC General Assembly-2014, Queenstown, New Zealand. • Mr. N.Rakesh Chandra, Assistant Professor, Dept. of H&S presented the paper titled “MST radar observations of leonid meteor shower 1996 – 2010” during 29th January to 1st February, 2014 in 18th National Space Science Symposium, Dibrugarh, Assam. • Mr. Salauddin Mohammad, Research Scholar, R&D Cell presented the paper titled “Equatorial wave activity during 2007 over Gadanki, a tropical station” during 29th January to 1st February, 2014 in 18th National Space Science Symposium, Dibrugarh, Assam. • Dr. Gopa Dutta, Director, R&D and Mr. Salauddin Mohammad, Research Scholar, R&D Cell presented the paper titled “Equatorial wave activity during 2007 over Gadanki, a tropical station” during 12th to 17th January, 2014 in SPARC General Assembly-2014, Queenstown, New Zealand. • Dr. Gopa Dutta, Director, R&D and Mr. E.Krishna, Research Scholar, R&D Cell presented the paper titled “Effect of cyclone NILAM on atmospheric parameters and characteristics of Inertia Gravity Wave over Hyderabad (170 N, 78.40 E)” during 12th to 17th January, 2014 in SPARC General Assembly-2014, Queenstown, New Zealand. Dr. S.V.Ramana, Professor & HOD MBA Department delivered a talk on ‘How to Identify the Best from Each Student to Build the Nation’, at Patel Hall, Keshav Memorial College, Narayanaguda, Hyderabad on 4th August, 2013 in Educational Work-Shop for College & University Lectures on the occasion of Swami Vivekananda’s 150th Jayanthi celebrations. Dr. P.Kousalya, Professor & HOD, H&S Department delivered a talk on ‘The Role on Mathematics in Engineering Domains’ in inaugurating Mathematics Club on 30th August, 2013 at CMR Engineering College. Dr. G.Amarender Rao, Professor & HOD, Mechanical Department delivered a talk on ‘General Induction, Combustion Processes in Internal Combustion Engines’, ‘Advances in Internal Combustion Engines, Engine Heat Transfer, Lubrication and cooling’, ‘Alternative fuels for Internal Combustion Engines’ and ‘Techno-Economic aspects of Alternative fuels for Internal Combustion Engines’ on 19th November, 2013 at UGC-Academic Staff College, JNTUH. Dr. Gopa Dutta, Director, R&D delivered a lecture on ‘Study of the atmosphere : Its role in this changing environment’ in the Refresher Course sponsored by UGC on Research Methodology in basic sciences on 21st November, 2013 organized by UGC-Academic Staff College, O.U. Mr. M.Srinivasa Reddy, Physical Director attended for the zone organizers meeting on 19th December, 2013 at JNTU Hyderabad. Dr. S.V.Ramana, Professor & HOD MBA Department delivered a talk on ‘Expectations of Society from Elite People’, at G.Narayanamma Engineering College Auditorium, Hyderabad on 29th December, 2013 in Elite People Meet on the occasion of Swami Vivekananda’s 150th Jayanthi celebrations. Mr. K.Ajay Kumar, Associate Professor, MBA Department acted as resource person for Two-Day Workshop on “Project, Internship & Company Analysis” on 23rd & 24th January, 2014 at CMR Institute of Technology, Hyderabad. Dr. S.V.Ramana, Professor & HOD, MBA Department delivered a talk on ‘Swami Vivekananda – a Radical Traditionalist and Perceptions on Social, Economic and Political state’, in Coastal Engineering Colleges students meet at Andhra University Auditorium, Visakhapatnam on 31st January, 2014 on the occasion of 150th Swami Vivekananda’s Birthday celebrations. Mr. E.Prasad, Assistant Professor, H&S Department is a special invitee to receive The Best Techno Faculty Award 2014 announced by ICT Academy of Tamilnadu to be held on 26th & 27th February, 2014 at Chennai Trade Centre. Mr. D Krihsna Mohan Sharma, Associate Professor English, H&S Dept. published a paper title “Education in Rural India” in the book “Changing Paradigms in Rural Management” edited by Dr. M Ramesh Kumar, published by Xenon Academic Publishers. Dr. S.V.Ramana, Professor and HOD, and Mr. K.Ramesh Babu, Associate Professor, Dept. of Business Management, published the paper titled “Supply Chain Management in Pharmaceutical Industry – An Empirical Study” in JM International Journal of Management Research (JMIJMR), ISSN: 2229-4562, Vol. 2, Issue-4, June, 2012. Dr. P.S. Subramanyam, Professor, Ch. Sunil Kumar, and J. Amaranath, Dept. of EEE published the paper titled “Available Transfer Capability based Transmission Loading Relief (TLR) in Deregulated Power System” ICGST-ACSE Journal, Volume 12, Issue 1, pp. 1-8, June 2012. Dr. P.S. Subramanyam, Professor, Ch. Sunil Kumar, and J. Amaranath, Dept. of EEE published the paper titled “Available Transfer Capability Calculations with Contingencies for Andhra Pradesh State Grid”, International Journal of Scientific and Engineering Research, Volume 3, Issue 6, June 2012. Dr. J.S.N.Murthy, Principal published the paper titled “Solid-State Reaction Between Barium Sulfate and Carbon” in Chemical Engineering Communications, Vol.199, Pages 966-990, Issue-8, 2012. Mr. G.Arun, Assistant Professor, Dept. of CSE published the paper titled “Detection of Intruders and Flooding In Voip Using IDS, Jacobson Fast And Hellinger Distance Algorithms” in IOSR Journal of Computer Engineering (IOSRJCE), ISSN: 2278-0661 Volume-2, Issue-2 (July-Aug. 2012), PP 30-36. Mr. Ch.Koteswara Rao, Mr. B.Sarveswar Reddy, and Mr. G.Poorna Chandra Rao, Assistant Professors Dept. of EEE published the paper titled “A Novel Technique on Thyristor Controlled Series Compensator based Genetic Algorithm Controller to Improve Stability of Single Machine Infinite Bus System” in International Journal of Engineering Research and Development, e-ISSN: 2278-067X, p-ISSN: 2278-800X, Volume 2, Issue 4 (August 2012), PP.45-49. Mr. V.Nagaraju, Assistant Professor, Dept. of H&S published the paper titled “Application of Game Theory to Assess Conflicting Election Strategies – An Emphirical” in International eJournal of Mathematics and Engineering, 196(2012) PP 1875-1880, ISSN 0976-1411. Mr. V.Nagaraju, Assistant Professor, Dept. of H&S published the paper titled “The Growth of Population Versus the Rate of Literacy in India – A Study” in EXCEL International Journal of Multidisciplinary Management Studies, Vol.2, Issue 10, October 2012, ISSN 2249 8834. Mr. K.Ram Koteswar Rao, Assistant Professor, Dept. of H&S published the paper titled “Some Fixed Point Theorems in Symmetric G-Cone Metric Spaces” in Eurasian Mathematical Journal (Russia) Vol.3, No.2 (2012), 85-93, ISSN 2077-9879. Mrs. S.Neelima, Associate Professor and Dr. P.S.Subramanyam, Emeritus Professor, Dept. of EEE published the paper titled “Effect of Load Levels on Sizing and Location Of Capacitors In Distribution Systems”, International Journal on Electrical Engineering & Technology (IJEET), Vol. 03, Issue. 03, October – December- 2012, pp. 31-42. Mr. M.Katta Swamy, Assistant Professor, Dept. of ECE published the paper titled “New Approach of Visual Cryptography Scheme for Hiding Color Images” in International Journal of Electronics Communication and Computer Engineering, Vol.3, Issue 6, ISSN (Online): 2249-071X, ISSN (Print): 2278-4209. Mrs. S.Neelima, Associate Professor and Dr. P.S.Subramanyam, Emeritus Professor, Dept. of EEE published the paper titled “Power Factor Correction in a Distribution System: An Optimization Approach”, IRACST-Engineering Science and Technology: An International Journal (ESTIJ), ISSN: 2250-3498, Vol. 2, No.6, December- 2012, pp. 979-982. 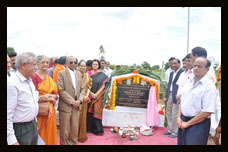 Mrs. M.Sharanya, Associate Professor, Dr. B.Basavaraja, HOD & Professor and Dr. M.Sasikala Professor, Dept. of EEE published the paper titled “An Overview of Dynamic Voltage Restorer for Voltage Profile Improvement”, International Journal of Engineering and Advanced Technology (IJEAT), ISSN: 2249-8958, Vol. 2, Issue-2, December- 2012, pp.26-29. Mr. K.Sree Kanth, Assistant Professor, Dept. of CSE published the paper titled “Improved Algorithm for Prediction of Heart Disease Using Case based Reasoning Technique on Non-Binary Datasets”, International Journal of research in Computer & Communication Technology, ISSN: 2278-5841, Vol. 1, Issue-7, December- 2012, pp.420-424. Ms. T.Sravanthi, Assistant Professor and Mr. B.Brahma Reddy, Professor, Dept. of ECE published the paper titled “An Adaptive Algorithm for Object Tracking and Counting” in International Journal of Engineering and Innovative Technology, Vol.2, Issue 4, ISSN: 2277-3754, October, 2012. Mr. M.Katta Swamy, Assistant Professor and Mr. B.Brahma Reddy, Professor, Dept. of ECE published the paper titled “Lossless Visible Watermarking Using Compound Mapping” in International Journal of Engineering Research and Development, Vol.4, Issue 9, e-ISSN: 2278-067X, p-ISSN: 2278-800X, November, 2012, pp.27-35. Mr. B.Brahma Reddy, Professor, Dept. of ECE published the paper titled “A Secure Visual Cryptography for Color Images” in International Journal of Engineering Research and Development, Vol.4, Issue 11, e-ISSN: 2278-067X, p-ISSN: 2278-800X, November, 2012, pp.39-46. Mr. Ramesh Deshpande, Associate Professor, Dept. of ECE published the paper titled “Computational Analysis Of 2.25ghz Rectangular Patch Antenna” in International Journal of Engineering Research and Technology, Vol.1, Issue 8, ISSN: 2278-0181, October, 2012, pp.1-7. Mr. K.Badrinath, Associate Professor, Dept. of ECE published the paper titled “Radar Emitter Location Simulation and Implementation of FPGA” in International Journal of Engineering and Innovative Technology, Vol.2, Issue 4, ISSN: 2277-3754, October, 2012, pp.74-77. Mr. B.Brahma Reddy, Professor, Dept. of ECE published the paper titled “Wireless Communication Systems over Fading Channels using Bi-Level FH-CDMA Method” in International Journal of Engineering and Innovative Technology, Vol.2, Issue 3, ISSN: 2277-3754, September, 2012, pp.268-274. Mr. B.Brahma Reddy, Professor, Dept. of ECE published the paper titled “Design of On-line Interactive Data Acquisition and Control System” in International Journal of Engineering Research and Technology, Vol.1, Issue 9, ISSN: 2278-0181, November, 2012, pp.1-6. Ms. T.Sravanthi, Assistant Professor Dept. of ECE published the paper titled “An Adaptive Algorithm for video compression” in International Journal of Emerging Technology and Advanced Engineering, Vol.2, Issue 12, ISSN: 2250-2459, December, 2012, pp335-340. Mr. B.Brahma Reddy, Professor, Dept. of ECE published the paper titled “Advanced Mouse Cursor Control And Speech Recognition Module” in International Journal of Engineering Research and Technology, Vol.1, Issue 9, ISSN: 2278-0181, November, 2012, pp.1-5. Mr. M.Katta Swamy, Assistant Professor Dept. of ECE published the paper titled “New Approach of Visual Cryptography Scheme for Hiding Color Images” in International Journal of Electronics Communication and Computer Engineering, Vol.3, Issue 6, ISSN(Online): 2249-071X, ISSN(print): 2278-4209, pp.1201-1205. Ms. B.Lavanya, Assistant Professor and Mr. V.Sravan Kumar, Assistant Professor, Dept. of ECE published the paper titled “Combination of Cyphertext and Audio Steganography” in International Journal of Emerging Technology and Advanced Engineering, Vol.2, Issue 12, ISSN: 2250-2459, December 2012. Mrs. P.Jahnavi, Associate Professor Dept. of ECE published the paper titled “Simulink Based Simulation Of Quardrature Amplitude Modulation (8-QAM) With Different Constellation ordering” in International Journal of Emerging Technology and Advanced Engineering, Vol.2, Issue 12, ISSN: 2250-2459, December 2012. Mrs. Ch.Suneetha, Associate Professor Dept. of ECE accepted the paper titled “Modified Fat Recursive Algorithm For Efficient MMSE –SIC Of An V-Blast System” in International Journal of Advanced Computer Research (IJACR), ISSN (Print): 2249-7277, ISSN (Online): 2277-7970, March, 2013. Mrs. Ch.Suneetha, Associate Professor Dept. of ECE accepted the paper titled “Performance Evaluation Of Modified V-Blast In Mimo System” in International Journal of Engineering Research and Applications (IJERA). Mrs. K.Sirisha Reddy, Associate Professor Dept. of CSE published the paper titled “An Integrated Approach of Data storage and Security in Cloud Computing” in International Journal of Application or Innovation in Engineering and Management, Vol.1, Issue 4, ISSN: 2319-4847, December 2012. Mr. M.Venkateswara Rao, Associate Professor & Mr. V.Sridhar Reddy, Assistant Professor Dept. of IT published the paper titled “Wireless Networks Security Using Dispersive Routing Mechanism” in International Journal of Computer Science and Network, Vol.2, Issue 2, ISSN (Online): 2277-5420, April 2013. Mr. N.Vamsi Krishna, Assistant Professor Dept. of CSE published the paper titled “Securing SMS using Cryptography” in Sri Rangarajan et al,/International Journal of Computer Science and Information Technologies, Vol.4 (2), ISSN: 0975-9646, 2013 285-288. Mr. K.J.Onesim, Mr. M.Praveen Kumar & Mr. G.Bhaskar, Assistant Professors Dept. of ECE published the paper titled “Programmable Slave Side Arbiter for System on Chip” in International Journal of Engineering & Science Research, IJESR/March 2013, Vol.3, Issue-3, Article No-14/2686-2695, ISSN: 2277-2685. Dr. Gopa Dutta, Director, R&D Cell presented the paper titled “Response of tropical lower atmosphere to annular solar eclipse of 15th January, 2010” during 19th to 23rd March, 2012 in MST 13 International Conference, Kuhlungsborn, Germany. Mr. P.Vinay Kumar, Research Scholar, R&D Cell presented the paper titled “Frequency dependence of gravity wave momentum flux estimates in the lower atmosphere: First observations using MST radar wind data at Gandanki” during 19th to 23rd March, 2012 in MST 13 International Conference, Kuhlungsborn, Germany. Dr. P.Kousalya, Professor in Dept. 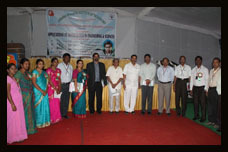 of H&S presented the paper titled “Analytical Hierarchy Process for selection of a student for all round excellence award” at A National Conference on Mathematical & Computational Sciences on 6th & 7th July, 2012 at Adikavi Nannaya University, Rajamundry. Dr. Gopa Dutta, Director, R&D Cell presented the paper titled “Quasi-two-day wave in the lower atmosphere over Hyderabad during summer of 2009” during 14th to 22nd July, 2012 in COSPAR International Conference, Mysore, India. 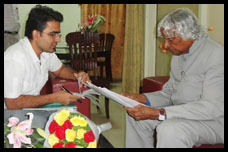 Mr. Salauddin Mohammad, Research Scholar, R&D Cell presented the paper titled “Planetary wave activity during the summer months of 2007 over Gadanki” during 14th to 22nd July, 2012 in COSPAR International Conference, Mysore, India. 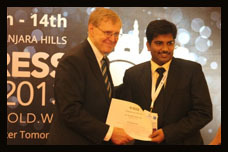 Mr. Salauddin Mohammad, Research Scholar, R&D Cell presented the paper titled “Diurnal tide in the troposphere and lower stratosphere over Hyderabad, a tropical station” during 14th to 22nd July, 2012 in COSPAR International Conference, Mysore India. Dr. S.V.Ramana, Professor in Dept. of MBA to present a paper titled “Work-Life Balance” – An Empirical Study of Managers of Select Pharmaceutical Companies” during 9th to 11th November, 2012 in Technical Session – Empirical Researches in the area of Human Resource, 65th Annual Conference of Indian Commerce Association, at KBP Hinduja College, Mumbai. Dr. P.Kousalya, Professor in Dept. of H&S to be presented the paper titled “A membership function solution approach to Analytic Hierarchy Process” on 15th & 16th December, 2012 in International Conference on Mathematical Sciences and Applications, New Delhi. Dr. P.Kousalya, Professor in Dept. of H&S to be presented the paper titled “A Comparative Study of AHP and a membership function solution approach to AHP – An illustration through selection of a computer system” on 27th to 29th December, 2012 at IBS Business School, Hyderabad. Mr. B.Brahma Reddy, Professor, Dept. of ECE presented the paper titled “Energy optimization using cross-layer protocols in wireless sensor networks” in CURRENT TRENDS IN ATMOSPHERIC RESEARCH INCLUDING COMMUNICATION AND NAVIGATION ASPECTS (CARCAN- 21-22 December, 2012), VBIT, Ghatkesar. Mrs. S.Neelima, Associate Professor, EEE Dept. presented the paper titled “An Optimization Approach for Power Factor Correction and Capacitor Placement in a Distribution System”, during 22nd & 23rd February, 2013 in International Conference on Advances in control System and Electricals Engineering-CSEE 2013, Chennai, India. Mrs. T.Swaroopa Rani, Assistant Professor, H&S Dept. presented the paper titled “Multilingual Approach to the Teaching of English – An ‘Invaluable Resource’ or an ‘Inevitable Pitfall’ ”, during 16th to 18th March, 2013 in International Teacher Educators Conference, The British Council and the English and Foreign Languages University, Hyderabad. 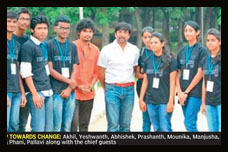 • Mr. M.Srinivas Reddy, Physical Director, attended JNTUH Inter Collegiate Sports and Games General Body Meeting on 23rd August, 2012. • Dr. P.Kousalya, Professor in H&S Department delivered a talk on Synergy of Mathematics, Statistics and Computer Sciences during 13th to 14th September, 2012 in International Conference on Mathematics, Statistics & Computer Engineering at Vijayawada. • Dr. S.V.Ramana, Professor in MBA Department delivered a talk on Cross-Cultural Concepts-Leadership Issues on 28th September, 2012 for MBA students in JNTU Campus, Hyderabad. • Dr. S.V.Ramana, Professor in MBA Department delivered a talk on CRM-The New Marketing Paradigm on 29th September, 2012 for MBA students in Kakatiya University, Warangal. • Dr. S.V.Ramana, Professor in MBA Department delivered a talk on E-tenders and Negotiations to Electrical Engineers of Central Institute of Rural Electrification, Rajender Nagar on 10th October, 2012 in Training Programme. • Dr. C.R.N.Sarma, HOD, H&S Department was requested to review a book by “Rajkamal: Embedded System” of Tata Mc Graw Hill. • Dr. C.R.N.Sarma, HOD, H&S Department was requested to review a book by “Microcontrollers” of Tata Mc Graw Hill. • Mr. M.Srinivas Reddy, Physical Director, to be attended All India Inter University Power Lifting Tournament will be held at M L SUKADIA University, Udaipur on 21st to 23rd February, 2013. • Dr. J.S.N.Murthy, Principal, is nominated by Vice-Chancellor, JNTUH as a Member for Board of Studies in Chemical Engineering for UG & PG programmes of Non Autonomous Constituent Colleges and Unites of the University and Non Autonomous affiliated colleges. • Dr. P.S.Subramanyam, Emeritus Professor, EEE Department authored Text Books named “Basic Concepts of Electrical Engineering” and “C and C++ programming concepts and Data structures” in the year 2012-13 published by BS Publications/BSP Books. • Dr. Gopa Dutta, Director, R&D delivered a lecture on ‘Climate change-The greatest challenge to the mankind’ in the Refresher Course sponsored by UGC on Satellite Data Applications in Weather and Climate change conducted by CES & WMT, JNTU Hyderabad 8th April, 2013 organized by UGC-Academic Staff College, JNTUH. • Dr. J.S.N.Murthy, Principal received Best Alumnus of Chemical Engineering Dept. of NIT, Rourkela for the year 2012-13 and was honored with Certification, Citation and a Gold Medal on 01-05-2013. Mr. K.Sree Kanth presented the paper titled “Algorithm for Frequent Itemset Generation and Prediction for Non-Binary Datasets” at A National Conference on Knowledge Engineering (NCKE 2011) on 29th & 30th July, 2011 at Mahatma Gandhi Institute of Technology, Hyderabad. Mrs. T.Swaroopa Rani presented the paper titled “Developing Learner-friendly material in English for better comprehension & scores” at UGC sponsored National Conference on “The Changing Langscape of English”, 4th August, 2011 at St. Ann’s College for Women, Mehidipatnam, Hyderabad. Mr. Salauddin Mohammad presented the paper titled “Diurnal Tide in the Troposphere and Lower Stratosphere over Hyderabad, for the National Conference on “Science of Climate Change and Earth’s Sustainability: Issues and Challenges” at Lucknow on September 12-14, 2011. Prof. G.Chandra Sekhar and Dr. P.S.Subramanyam presented the paper titled “A New Approach to Combined Under Voltage and Directional Over Current Protection Scheme”, 3rd IEEE International Conference – ICACCT-2011, Panipat, Haryana, November 5, 2011. Mr. M.V.Subramanyam presented the paper titled “Closed Loop SPWM Control of 5-Level Multi-level Inverter fed 3 phase of Induction Motor Drive” at Eighth Control Instrumentation System Conference (CISCON) during November 3 – 6, 2011, Ref. No.CIS-182 at Sikkim Manipal University, Manipal. Mr. V.Naga Raju presented the paper titled “Application of Game Theory to Assess Conflicting Election Strategies – An Empirical Study” in the International Conference on “Applications of Game Theory in Policies and Decisions”, in Honor of Prof. C.R.Rao organized by Institute of Public Enterprise, Hyderabad during 12th & 13th December, 2011 at Marriott Hotel and Convention Centre, Hyderabad. Dr. P.Kousalya presented the paper titled “ Comparative Performance of Averaging Methods and Stochastic Vector Methods in Analytical Hierarchy Process problems” at International Conference on Advances in Supply Chain and Manufacturing management (ICASCMM 2011), organized by Dept. of Industrial Engineering & Management, IIT, Kharagpur, West Bengal, India. Dr. J.S.N.Murthy presented the paper titled “Hydrodynamics of Tapered Bubble Columns”, for Poster Presentation for the 64th Annual Session of the Indian Institute of Chemical Engineers, CHEMCON 2011 to be held at M.S.Ramaiah Institute of Technology, Bangalore during 27-29 December, 2011. Mr. G.Pradeep Kumar Reddy presented the paper titled “Microstructure Evolution in AZ31 Magnesium Alloy during Burnishing and Investigating Surface Properties”, in International Conference on Nanotechnology and Functional Materials held at SNIST, Hyderabad during 4-7. 2012. Mr. V.Naga Raju presented the paper titled “Trends in Longevity and Toddler Mortality Rate in India” at Heber International Conference on Applications of Mathematics and Statistics, during 5th to 7th January, 2012 at Dept. of Mathematics, Bishop Heber College, Tiruchirapalli. Dr. P.Kousalya presented the paper titled “Selection of a student for All Round Excellence Award – a mathematical model of a Multi-criteria Decision Making approach” at 4th International Conference on “Recent Advances on Mathematics, Technology & Management, on 21st & 22nd January, 2012 held at B.I.T.M., Santiniketan, West Bengal. Dr. N.Prasanna Lakshmi presented the paper titled “Code-mixing and Code-Switching as Communication Devices in the Fiction of R.K.Narayan and Arundhati Roy” at the National Seminar on English Language Education in India: Theory and Practice, Organized by the Centre for English Language Studies, University of Hyderabad and ELTAI, Hyderabad Chapter during 23rd to 25th January, 2012. Mr. M.V.Subrahmanyam, Mrs. M.Sharanya and Mrs. K.S.Mani presented the paper titled “Analysis of PI Tuned Closed loop Five level Multilevel Inverter Controller Three Phase Induction Motor” at the National Conference on Recent Trends in Power Systems & Power Electronics, on 17th February, 2012, Organized by Dept. of EEE, BVC Engineering College, Odelarevu, Amalapuram. Mrs. T.Swarupa Rani presented the paper titled “Self Directed Professional Development: An Action Research Perpective” at the 2nd International Conference for English Language Teacher Educators, Organized by The British Council and the English and Foreign Languages University, Hyderabad during 3rd to 5th March, 2012. Mr. K.Naresh Kumar presented the paper titled “Effects of Climate Change on Agriculture and Health” in the National Conference “Green Technologies in Civil-Environment Interface” during 16th & 17th March, 2012, Organized by Dept. 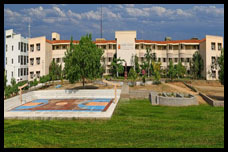 of Civil Engineering and Environmental Sciences, Gitam University, Hyderabad Campus. Prof. B.Brahma Reddy, Mrs. U.Poorna Lakshmi & Mr. S.Pothalaiah presented the paper titled “Performance Evaluation of routing protocols in MANETs” in the National Congress on Communications and Computer Aided Electronic Systems (CCAES-2012) during 20th & 21st April, 2012, Organized by Dept. 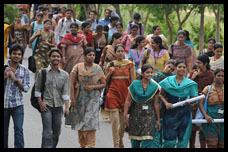 of ECE, Chaitanya Bharathi Institute of Technology. Mr. K.Naresh Kumar presented the paper titled “Effects of Climate Change on Agriculture and Health” in the National Seminar on “Climate Change & Sustainable Management of Water Resources (CCWR-2012)” during 17th & 18th March, 2012, Organized by Dept. 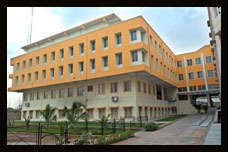 of Environmental Sciences, Institute of Science, Gitam University, Visakhapatnam Campus. Dr. S.V.Ramana presented the paper titled “Metamorphosis of Marketing – Social Media Marketing (smm) – A Paradigm Shift” in the International Conference on “Contemporary Global management Perspectives and Practices” during 27th & 28th April, 2012, Organized by School of management Studies, Sreenidhi Institute of Science and Technology, Yamnampet, Ghatkesar, Hyderabad. Mrs. S.Neelima, Dr. P.S.Subramanyam presented the paper titled “Optimal Capacitors Placement in Distribution Networks for Loss Reduction Using Differential Evolution Incorporating Dimension Reducing Load Flow for Different Load Levels”, in International Conference, IEEE EnergyTech 2012 during 29th to 31st May, 2012 at Case Western Reserve University in Celveland, Ohio, USA. Mrs. S.Neelima, Dr. P.S.Subramanyam presented the paper titled “Optimal Capacitors Placement in Distribution Networks Using Differential Evolution Incorporating Dimension Reducing Power Flow Method”, in 2011 IEEE PES Innovative Smart Grid Technologies – India International Conference, during 1st to 3rd December, 2011, Kerala. Dr. Gopa Dutta published the paper titled “Response of tropical lower atmosphere to annular solar eclipse of 15 January, 2010” in Journal of Atmospheric and Solar-Terrestrial Physics Elsevier Publications (2011), doi: 10.1016/j.jastp.2011.04.025. Prof. V.Anandam published the paper titled “Software Requirements & Quality Approaches through MDRE and BESPOKE Process Models” in International Journal of Computer Science and Information Technologies, Vol. 2(4), 2011 page no. 1651-1654. Mr. V.Sridhar Reddy published the paper titled “Defending Against Polymorphic Internet Worms” in International Journal of Knowledge Management and Information Technology, Vol. 1, No.1, June, 2011. Dr. Gopa Dutta, Mr. Salauddin Mohammad and Mr. Palla Vinay Kumar published the paper titled “Diurnal Tide in the Troposphere and Lower Stratosphere over Hyderabad, A Tropical Station” in Journal of Technology Spectrum, ISSN: 0974-6854, Vol. 5 No. 2, July, 2011. Prof. D.Krishna Mohana Sharma published the paper titled “Student Research in a Web 2 World: Learning to use new Technology to Gather Primary Data”, in ITIHAS, The Journal of Indian Management, July-September-2011, Vol.1, ISSN: 2249-7803 pp. 24-33. Prof. G.Chandra Sekhar and Dr. P.S.Subramanyam published the paper titled “Logic Based Design Of Protection Scheme For Six Phase System Using Detection Of Negative Sequence Currents”, accepted for publication in IJRTET, International Journal on Recent Trends in Engg. & Tech.) in Nov. 2011 issue. Prof. G.Chandra Sekhar and Prof. D.Padmavathi published the paper titled “Breakdown Phenomenon in Single Phase Gas Insulted Substation in the Presence of Metallic Particle Contamination on Spacer Using Monte-Carlo Technique”, International Journal of Multidispl. Research & Advcs. In Engg. (IJMRAE), ISSN 0975-7074, Vol.3, No.2 (April 2011), pp.53-62. G.Chandra Sekhar and Dr. P.S.Subramanyam published the paper titled “Logical Approach to Detect The Negative Sequence Currents During Faults Over Full Cycle in Six Phase System”, IJAST (International Journal of Advances in Science and Technology, Vol.3, No.3, pp.76-83. Prof. G.Chandra Sekhar and Dr. P.S.Subramanyam published the paper titled “Logic Based Detection of Negative Sequence Currents for Six Phase System”, International Journal of Applied Engineering Research, ISSN 0973-4562, Vol.6, No. 6 (2011) pp. 1311-1322. Prof. G.Chandra Sekhar and Dr. P.S.Subramanyam published the paper titled “A Novel Logic Based Directional over Current and Under Voltage Relays for Three Phase System”, IREMOS (International Review of Modelling and Simulation), Vol.4,No.4,Part-B,Aug. 2011. Dr. Gopa Dutta, Mr. Salauddin Mohammad and Mr. Palla Vinay Kumar published the paper titled “Quasi-two-day wave in the lower atmosphere over Hyderabad during summer of 2009”, Annales Geophysicae, 29, 1-10, 2011, doi: 10.5194/angeo-29-1-2011. Dr. T.Ch.Malleswara Rao published in online the paper titled “A Hierarchical Hybrid SVM Method for Classification of Remotely Sensed Data” on 10th August, 2011 in J Indian Soc Remote Sens DOI 10.1007/s12524-011-0149-4. Prof. G.Chandra Sekhar and Dr. P.S.Subramanyam published the paper titled “Logic Based Design of Protection Scheme For Six Phase System Using Detection Of Negative Sequence Currents”, International Journal on Recent Trends in Engineering and Technology, Vol.6, No. 2, Nov.2011 pp. 298-301. Mr. Ch.Ravi Shankar published the paper titled “An efficient architecture for Enforcing Mobile security through In-Clouds”, International Journal of Research and Reviews in Applicable Mathematics & Computer Science, pp.30-36, Vol.2, No.2, February, 2012. Mr. Ch.Ravi Shankar published the paper titled “Real-Time Multicast Data Transfer in Mobile Networks”, International Journal of Golden Research Thoughts, pp.1-4, Vol.1, Issue-x, April-2012. Mr. N.Srinivas published the paper titled “Analysis of Non-Coherent Receiver for Joint Timing Recovery and Data Detection in DS-CDMA Systems”, International Journal of Computer Applications in Engineering, Technology and Sciences (IJ-CA-ETS), pp.69-76, Volume-4, Issue-2, April 2012-September 2012, ISSN: 0974-3596. Mrs. S.Neelima, Dr. P.S.Subramanyam published the paper titled “Efficient Optimal Sizing And Allocation Of Capacitors In Radial Distribution Systems Using Drdlf And Differential Evolution”, ACEEE International Journal on Electrical and Power Engineering, Vol. 02, No. 03, Nov. 2011. Mrs. S.Neelima, Dr. P.S.Subramanyam published the paper titled “Optimal Capacitors Placement in Distribution Networks Using Genetic Algorithm: A Dimension Reducing Approach” Journal of Theoretical and Applied Information Technology, Vol. 30, No.1, ISSN: 1992-8645, pp-28-34, 15th August, 2011. Mrs. S.Neelima, Dr. P.S.Subramanyam published the paper titled “Optimal Capacitors Placement in Distribution Networks Using Genetic Algorithm: A Dimension Reducing Approach for Different Load Levels”, International Journal on recent Trends in Engineering and Technology, Vol.7, No.2, March 2012. 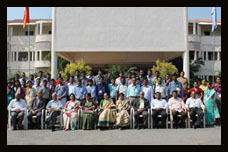 Dr. Gopa Dutta attended a conference delivered invited talk on “Middle atmospheric dynamics by using high frequency radar” at K.L.University, Vijayawada on 4th & 5th January, 2012. Dr. Gopa Dutta attended a meeting on the theme Stratosphere-Troposphere coupling through Ozone and Dynamics under I-SPARC at ISRO Head quarters, Bangalore on 30th November, 2011. 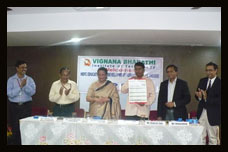 Dr. N.Prasanna Lakshmi,Professor(VBIT) attended a programme of UGC, EMMRC of Osmania University on 1st August, 2011. Dr. Gopa Dutta,Professor(VBIT) attended a meeting on MBLM status at ISRO Head quarters, Bangalore on 19th August, 2011. 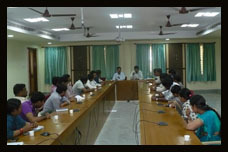 Dr. S.V.Ramana,Professor(VBIT) delivered a lecture on “e-tendering & Negotiations” on 24th August, 2011 at Institute of Public Enterprise, Osmania University.